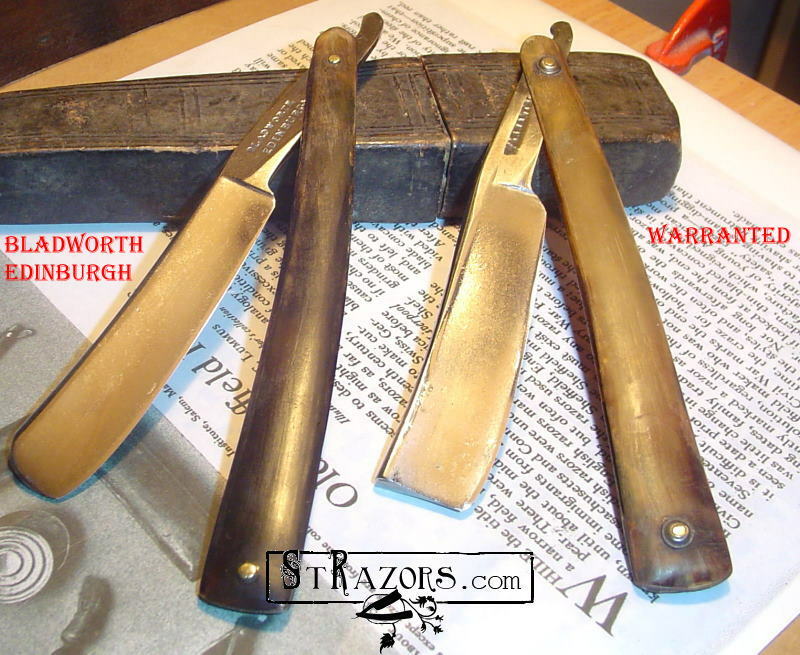 STRAZORS.com - all about classic razors - Early razors. 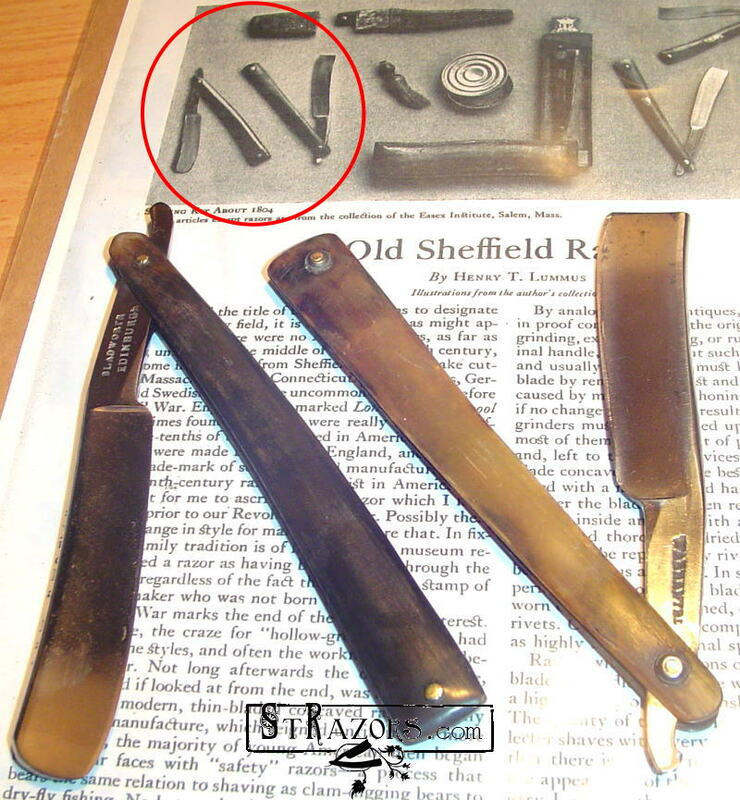 According to Henry T. Lummus article "Old Sheffield Razors", these razors were dated about 1804. 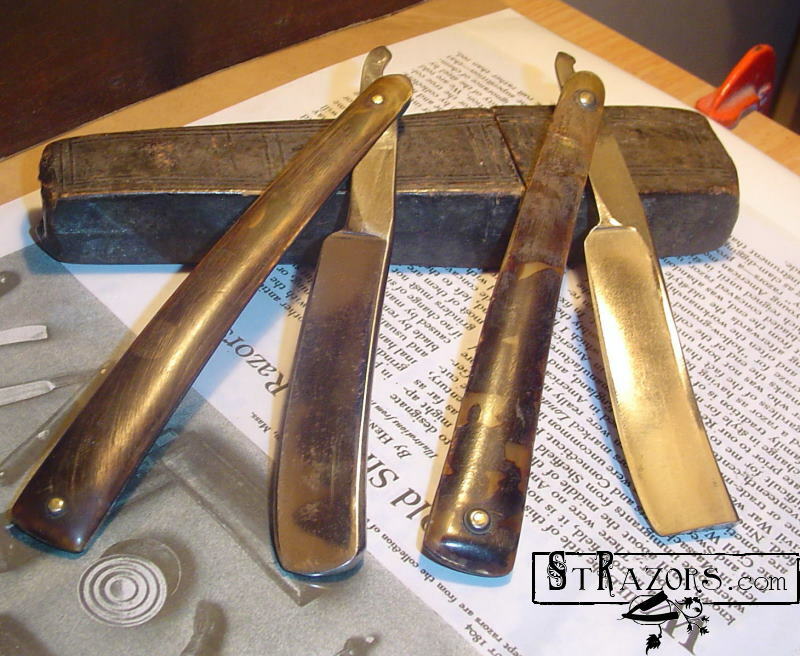 From 1740, when Benjamin Huntsman invented the cast steel, to 1830 the stamp "Warranted" and stamp "Cast Steel" indicated the type of metal used in manufacture.